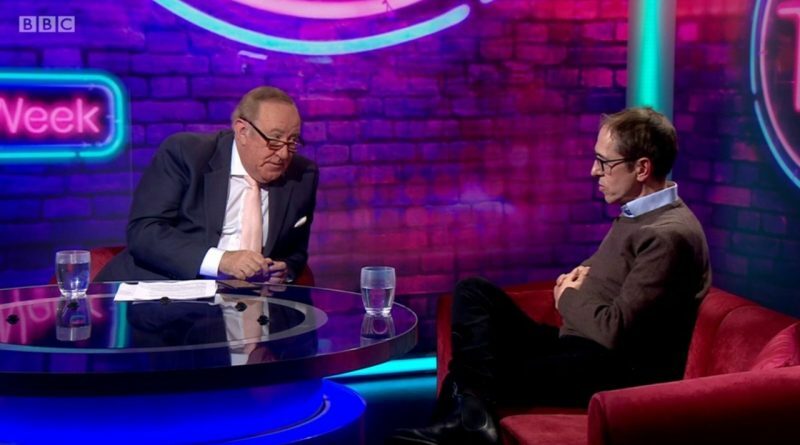 James Delingpole’s embarrassing performance on This Week demonstrates a disturbing characteristic that seems to be typical of the hardline Brexiters. For them leaving the EU is a matter of ideology with no regard to the impact. They want to leave at all costs and damn the consequences! And if Delingpole’s attitude is anything to go by they don’t even know, or just don’t care, what those consequences will be. It was clear from the discussion of WTO tariffs that Delingpole did not understand the relationship between free trade and WTO rules. He claimed that we could decide to reduce tariffs to zero while we negotiating a free trade deal with the US. Andrew Neil pointed out that if the tariffs were zero then the US would have no incentive to negotiate a deal, as the tariffs were already zero. In an attempt to excuse his behaviour he subsequently wrote that the problem was that he hadn’t done enough revision for that night. No James, the problem wasn’t just one night, the problem was that you should have done that revision over two and a half years ago, before the referendum. If, for the referendum, you were voting to leave the EU on WTO terms, which you are now claiming, but didn’t know how WTO and trade works then you didn’t know what you were voting for. Another characteristic that his subsequent article highlights is that his ideology is based upon prejudice. This is what he says about the EU, “a corrupt, sclerotic superstate which wishes us only ill.” He calls FBPE people Europhile zealots. And he regards those who disagree with him as having “warped tiny minds.” This is all nothing but nasty prejudiced vitriol, but maybe that is all he has when he is void of rational argument. He further showed his ignorance by saying that “we don’t want to pay the European Union a penny in divorce money, let alone a ludicrous £39 billion” even though this comprises financial obligations to which we had already agreed. He also stated that “Britain traded perfectly well for the large chunk of history it has spent outside the European Union” neglecting to mention that for a large chunk of that history the trade Britain did was as exploitative dictators within the Empire denying democracy to half the world, and not as equal trading partners. I don’t know why anyone pays this guy money for what he says or writes, but it is an insult to journalism! (Though perhaps him being on Breitbart might be a clue). ← Leavers: Take responsibility for your actions!